No, I’m not one of those that gets out the Christmas decorations way, way too early. It’s harvest time! The most wonderful time of the year…as far as a wine lover is concerned, anyway. I’ve been lucky enough to experience harvest multiple times for different wineries, even though I live on the edge of South Dakota. Yes, grapes are grown here. And yes, wine is made from the estate-grown grapes. So, here is to the harvest! Please enjoy these pictures from Old Folsom Vineyards, just three miles south of Rapid City. And remember to celebrate this season! 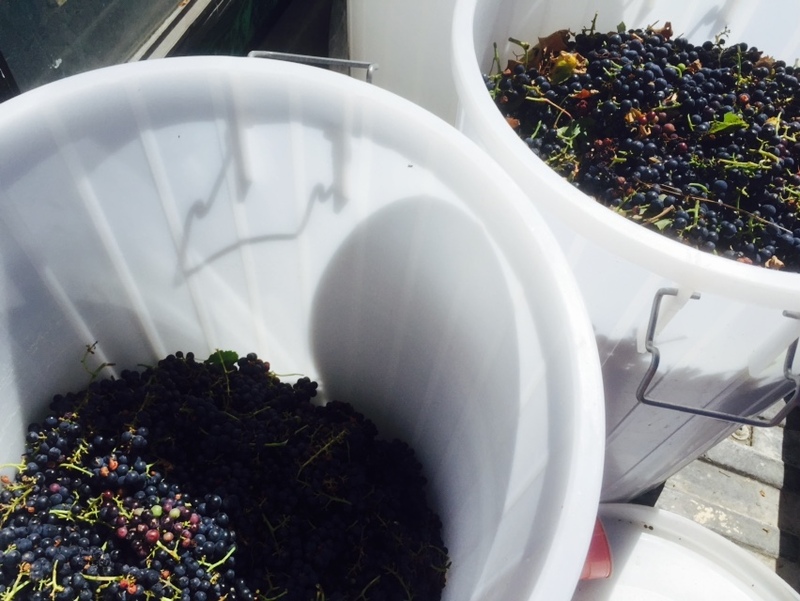 Before the harvest: time in the vineyard with Mike Gould--owner. 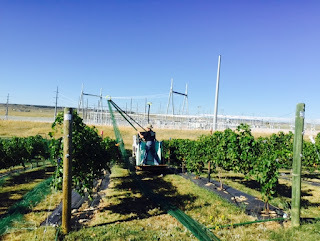 Netting is removed before harvest. The marquette grapes are ready! So is vineyard dog Nel. After the harvest: time to press! 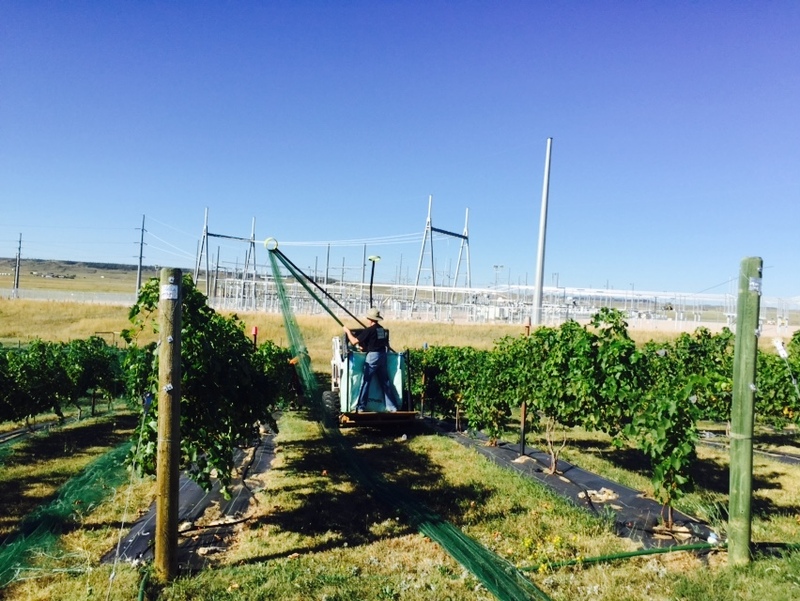 Grapes are brought into the vineyard and weighed. Then they are fed to the crusher/destemmer to release the juice. From there, the juice, grapes, and skins are pumped to the tank where the magic of fermentation will begin. After the work: time to party! Nothing beats the sight of the vineyards basking in the sunset as wine lovers enjoy the vineyard with wonderful food, fun friends, great music, and fabulous footwear. Oh, and don't forget the wine...lots of it.